The Indian Premier League is the most expensive T20 Cricket tournament played all over the world. Players from all the cricket playing nations come to India to participate in this two-month carnival. The IPL fuses together two favourite things of every Indian – one is cricket and the other Bollywood. An IPL match provides spectators with a full packaged entertainment as it is in a three-hour film. The lesser duration of the match connects with the youngsters and the working section of the society and hence it became an instant hit when it first appeared in 2008. On 13 September 2007, the BCCI announced the launch of a franchise-based Twenty20 cricket competition called Indian Premier League whose first season was slated to start in April 2008. Then BCCI vice-president Lalit Modi is said to be the mastermind behind the idea of IPL. He told the details of the tournament including its format, the prize money, franchise revenue system and squad composition rules. The league’s format was similar to that of the Premier League of England and the NBA in the United States. In order to decide the owners for the tournament, an auction was held on 24 January 2008 with the total base prices of the franchises costing around $400 million. At the end of the auction, the winning bidders were announced, as well as the cities the teams would be based in Bangalore, Chennai, Delhi, Hyderabad, Jaipur, Kolkata, Mohali, and Mumbai. In the end, the franchises were all sold for a total of $723.59 million. Also, it was the period when the young Indian team led by a new skipper Mahendra Singh Dhoni had won the first ever ICC World T20I Cup in South Africa by beating the arch-rivals Pakistan in a nail-biting final. Indians automatically connected with the format and the IPL was an immediate blockbuster. In the first season, 8 teams participated, Kolkata Knight Riders, Royal Challengers Bangalore, Chennai Super Kings, Rajasthan Royals, Mumbai Indians, Kings XI Punjab, Delhi Daredevils and Deccan Chargers. Rajasthan Royals became the winner in the first season of IPL by beating Chennai Super Kings by 3 wickets. Every team have to play a home and away match against the opponent side. Hence a team gets to play a total number of 14 matches in the league phase. The teams that are ranked in the top two spots get an extra chance to reach the finals. The teams that are placed third and fourth play an eliminator between themselves. The loser of the eliminator will pack up while the winner will play with the loser between the first and the second. When composing the teams, it has been decided that only four foreign players will be allowed to play per side in a match while the remaining seven players will be Indians. Thereby giving more opportunities for Indian youngsters. The squad strength must be between 18 and 25 players, with a maximum of 8 overseas players. The salary cap of the entire squad must not exceed ₹80 crore. Under-19 players cannot be picked unless they have previously played first-class or List A cricket. The term of a player contract is one year, with the franchise having the option to extend the contract by one or two years. There needs to be a minimum of 16 players in each of the eight teams. Each team will have one physio and a coach. At least two players in each team will be from BCCI under-22 pool. A minimum of eight local players will be there in each team. The number of foreign players in a team cannot exceed 10 (8 in the first season). Amongst the playing 11 members of a team, no more than four can be foreign players. Sachin Tendulkar, Rahul Dravid, Sourav Ganguly, Yuvraj Singh and Virender Sehwag are the players with ‘icon status’. All the revenues collected from the IPL series will be collected by a central pool, which will distribute it amongst league management and franchisees. At present, and till 2017, the distribution arrangement is – 54% for franchisees, 40% for IPL and the rest 6% is the prize money. After 2017, the proportion will change to 45% for franchisees, 50% for IPL and 5% for prize money. The title rights for Indian Premier League T20 Cricket were with DLF, an Indian real estate developer. DLF received the rights to IPL title sponsorship at the cost of $50 million, for a period of five years. For the next three years till 2015 PepsiCo bagged title sponsor. In 2016 Vivo purchased the sponsorship. The television rights for the IPL Twenty20 Cricket are with Sony Entertainment Television Network and World Sport Group (Singapore). They secured the highest bid for broadcast rights at $1.026 million, for 10 years. At least seven bowlers will be there for completing the 20 overs of a match. Of the seven bowlers in the game, six will bowl 3 overs each and seventh one will bowl the remaining 2 overs. For a match to be declared complete, full 40 overs should have been bowled and batted on. The batting team can call all of their extra players to bat, till the end of 20th over. However, only the first 11 players have the right to bowl and/or field. The batting team can continue to bat till the end of the last over, even if it has reached the winning target. Mahendra Singh Dhoni’s Chennai Super Kings, Rohit Sharma’s Mumbai Indians and Kolkata Knight Riders have been the most successful IPL teams. However, Virat Kohli’s Royal Challengers Bangalore, Kings XI Punjab and Delhi Daredevils, now Capitals, have been very unlucky in the last eleven years. In 2008, it was the experienced Shane Warne who led Rajasthan Royals to the IPL title, beating Chennai Super Kings in the finals. In 2009 when the tournament was held in South Africa, Adam Gilchrist’s Deccan Chargers turned the match against Anil Kumble’s Royal Challengers Bangalore. MS Dhoni won twice in a row in 2010 and 2011 beating Mumbai Indians and Royal Challengers Bangalore respectively. Shah Rukh Khan-owned Kolkata Knight Riders first tasted victory in 2012 under Gautam Gambhir’s captaincy. They chased down a huge 191 in the final against Chennai Super Kings. Mumbai Indians have won alternatively in 2013, 2015 and 2017 defeating Chennai Super Kings twice and Rising Pune Supergiants in 2017. KKR won again in 2014 against Kings XI Punjab while Sunrisers Hyderabad won their maiden title in 2016 beating Royal Challengers Bangalore. The BCCI banned Chennai Super Kings for two years. They came back in 2018 and straight away won the elusive trophy by beating Sunrisers Hyderabad comprehensively in the finals. The IPL honours the highest run scorer with an Orange Cap while the highest wicket-taker in the tournament with a purple cap. They also award a youngster who has made a fantastic debut with ‘Emerging Player Award’. The tournament also promotes Fair Play. The umpires rate the teams based on their on-field behaviour and at the end of the season the highest rating side wins ‘Fair Play Award’. 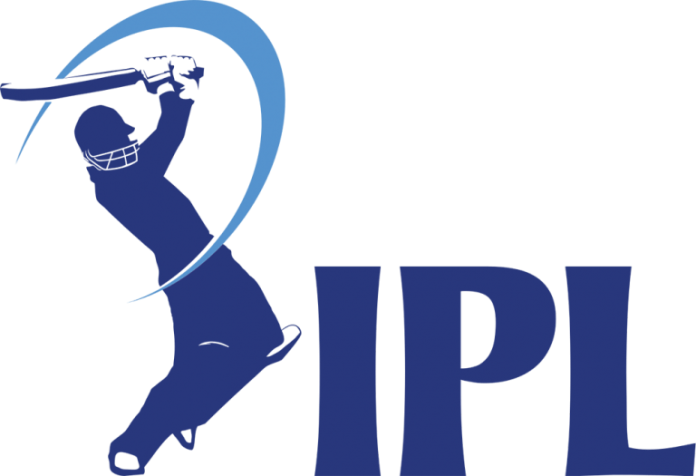 The IPL’s broadcast rights were originally held by a partnership between Sony Pictures Networks and World Sport Group, under a ten-year contract valued at 1.026 billion dollars. On 4 September 2017, it was announced that Star India acquired the global media rights to the IPL under a five-year contract beginning in 2018 at ₹163.475 billion which. is a 158% increase over the previous deal. It is the most expensive broadcast rights deal in the history of cricket. signing replacements for the unavailable players. In the trading windows, the franchise has to consult the player about his wish. The player, on his part, has the opportunity of negotiating his contract with the new team. Yuvraj Singh, with ₹ 16 crores, is the costliest player in the history of IPL auctions. The astronomical amount was paid by Delhi Capitals in 2015. The real estate company DLF was the title sponsor from 2008 -12. Its sponsorship fee was Rs 40 Crore per year. From 2013-15, the beverage giant Pepsi invested in IPL sponsorship at Rs. 79.2 Crore per year. Vivo, a mobile phone company, was the sponsor from 2016-17, paying around Rs. 95 Crore per year. They renewed their contract and currently, they are to sponsor Rs. 438.8 Crore until 2022. The IPL franchises are also a brand in itself. Chennai Super Kings is the most valuable IPL franchise brand. Their estimated brand value is 65 million dollars. Shah Rukh Khan’s KKR ranks second with a brand value of 62 million dollars. Sunrisers Hyderabad is at 54 million dollars. 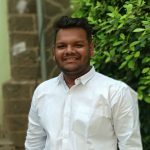 Mumbai Indians, Royal Challengers Bangalore and Delhi Capitals are at 53 million dollars, 49 million dollars and 44 million dollars respectively. Rajasthan Royals and Kings XI Punjab’s estimated brand value is 40 million dollars. The IPL Governing Council is responsible for all the functions of the tournament. The members are Rajeev Shukla, Ajay Shirke, Sourav Ganguly, Anurag Thakur and Anirudh Chaudhary. Chris Gayle got the most Man of the match awards in IPL history ! In 2018, the prize money was $ 8 million which could be somewhere around $10- 12 Million. The heart-throb of the country, Indian Premier League Season 12 will begin from 29 March to 19 May 2019. IPL is the grandest domestic tournament that the field of sports has ever encountered. Started in Kolkata in 2008 in a very subdued manner, it has become the world’s most watched league with a huge fan base and million followers across the world. Right from the 1st season till now, IPL has seen a big growth curve. But IPL 2019 season is witnessing some never-seen-before action and moments that will be forever etched in the history of IPL. Need to know why? Check out this blog here!